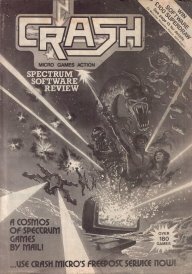 Before CRASH launched as a monthly review magazine, it ran as a software catalogue, printing reviews and selling games by mail order. The contents seem to have formed the basis for the Living Guide feature in early issues of CRASH. Read on for the reviews, or alternatively here are the scans.